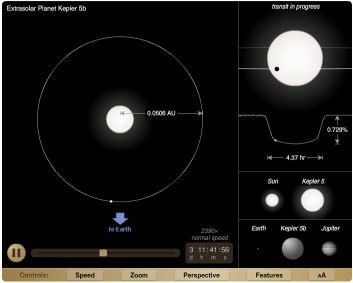 The UNL Astronomy Education Group was commissioned by the Kepler Space Probe EPO Group to develop an extrasolar planet visualization tool. The visualization is now used on the Kepler web site to display the physical characteristics of all newly discovered extrasolar planets. As an example, look at the page for Kepler-5b.